After two days of thrilling matches at Polymanga, Nintendo of Europe has announced that Gucci Gang won the Splatoon European Championship in Switzerland last weekend. The German team came out on top after securing a 2-0 victory against El Firmament in the Grand Final, which you can relive in the video below. 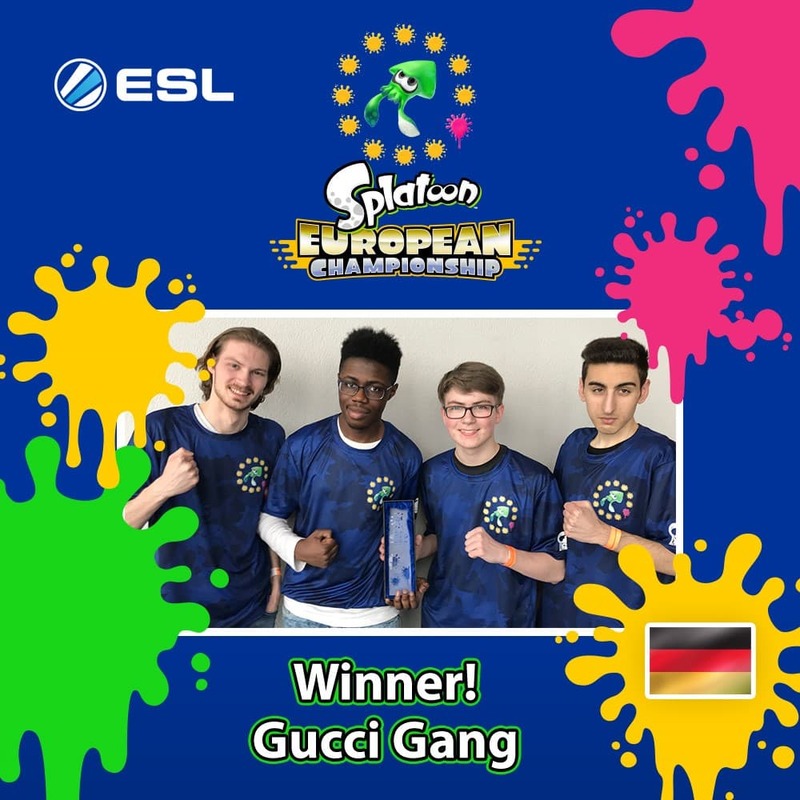 Gucci Gang were not only rewarded with a special jersey, the title of Splatoon European Champions, and the trophy that comes with it, but will now represent Europe at the Splatoon 2 World Championship which is to be held at E3 2018. They will need to beat the top teams from the United States, Canada, Australia, New Zealand, and Japan, to emerge victorious on the world stage in June.